Bikepacking – A New Bike Camping Adventure? I think they used to call it “cycle touring“. According to bikepacking.net, the short answer is that it’s “backpacking with a bike“. We love our holidays. But we’ve been thinking. 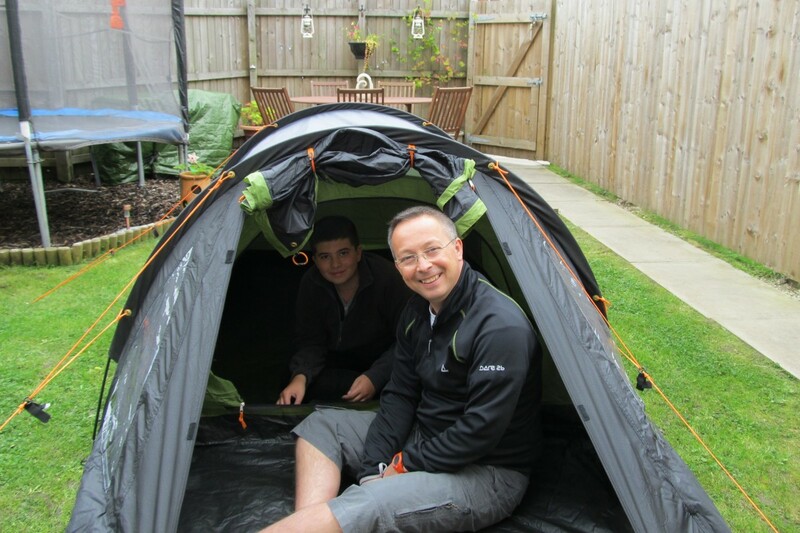 If my Other Half and myself want to go somewhere, an 8-berth tent is a bit much. So, we book into a hotel. At more cost than we really need to spend. If my boy and I want to go exploring and doing some Father-Son bonding without the car, we couldn’t, to put it bluntly. I picked up a bunch of end-of-season bargains at Go Outdoors and added a few other bits so that we now have a full bikepacking kit. 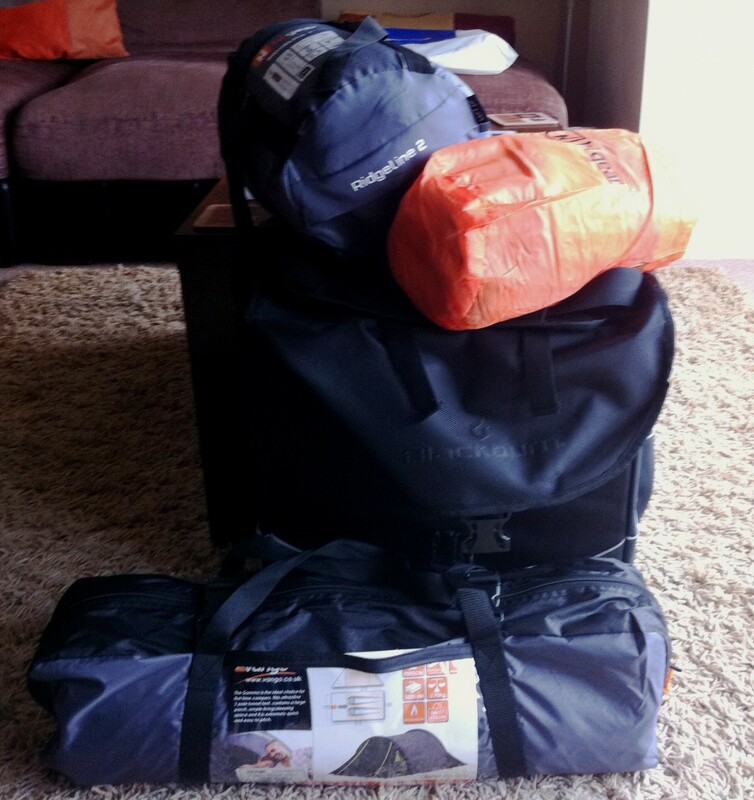 The final pack size, minus sleeping bag. 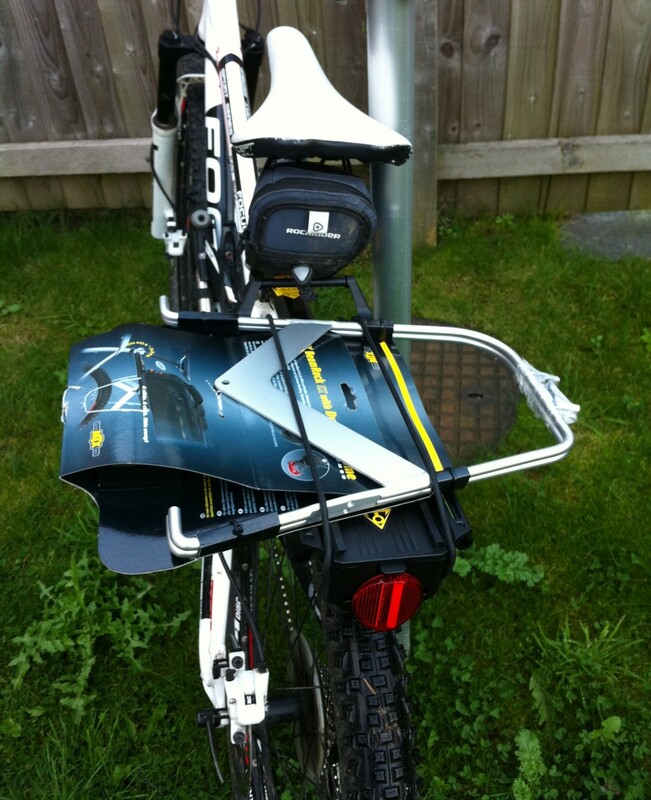 A special note of thanks goes to Toby, from whose blog I won the panniers, saving us a small fortune. As well as what you can see here, we’ve got a small gas burner; first aid kit; boy’s sleeping bag; mess tins and we’ll carry some food with us (most likely of the noodles-in-a-pot variety). We’ll head out with multiple thin layers; buffs; gloves and some baby wipes. I’m kicking myself that the boy & me didn’t go on Saturday night for a dry run. The forecast was for horrible winds so we chickened out. As it happens, it was a warm, dry and fairly calm night. Ah well. 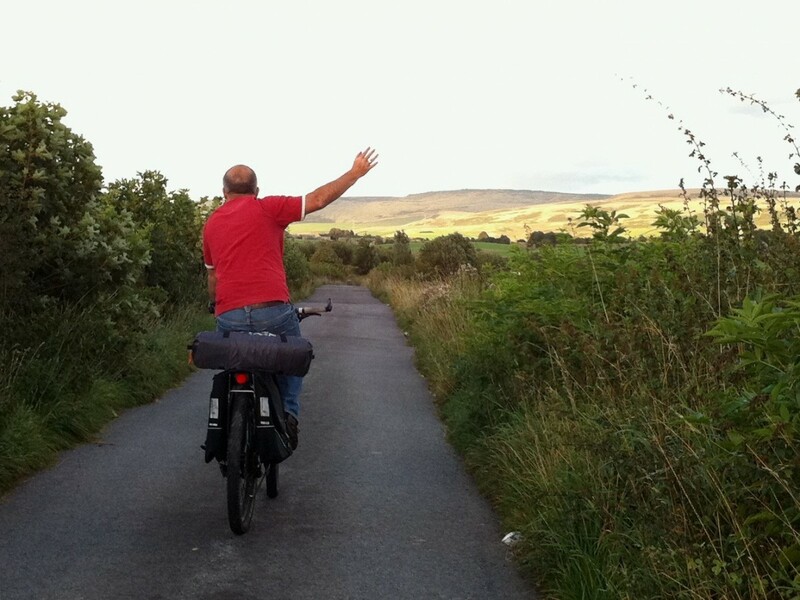 The updated plan is to have a short ride to Hollingworth Lake where there’s a little camp site for our first outing. Then once we’re sure we’ve got what we need, we can graduate to something a little less organised and a little more wild. Do you think we’ve forgotten anything important? I hope not. #30DaysOfBiking – You Should, You Know. Have done the same a a couple of times – with Missus & Daughter No1 with a 3-man dome tent though yours looks more compact folded up. We didn’t buy ours (16 yrs ago!) with cycling in mind – yours looks a wiser buy. I think you may well have forgotten the time of year! Great idea for the Spring/Summer where if you get wet you are still likely to be able to warm up, I am not so sure it is such a great idea for the Autumn/Winter! I may well be wrong but I am a fair weather camper! Ian, I loved the blog posts and the train sounds like a brilliant idea, I hope I can look into that for a jaunt next summer. Toby, I didn’t think I’d use them at first (the ZipVit stuff has all been faithfully applied!) but once the thinking caps went on during our holidays, I was chuffed to bits to have won them. John, you do make a fair point. Buying gear at the summer’s end is good for the wallet but not for the plans. Weekend just gone was unseasonally warm but realistically it might be next Easter before we get a proper overnight test done. Dry bags are definitely on the “to buy” list still, so at least our sleeping bags will be moisture-free! We’ve camped in some damp weather but never really cold, so I don’t want our first trip to be a frozen disaster which puts us off permanently!